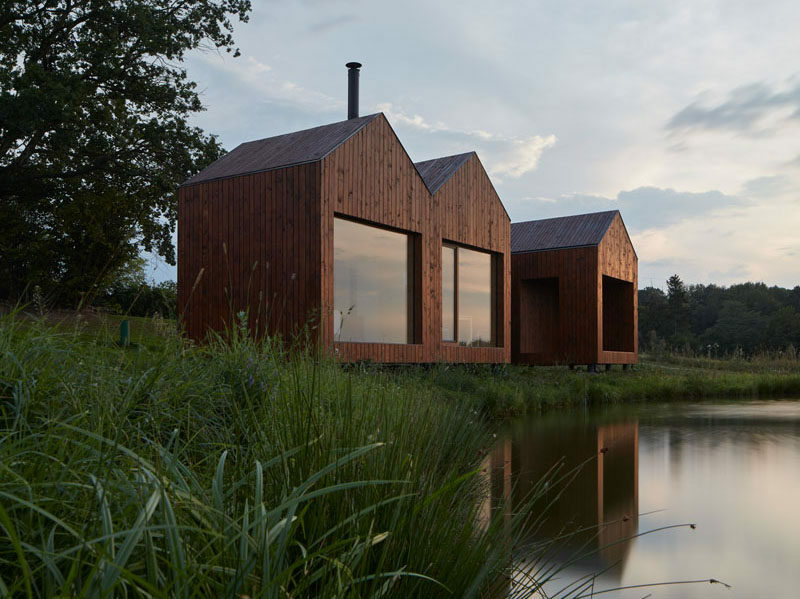 Atelier 111 have recently completed a small wood cottage that sits on the bank of a pond in Vysocina, Czech Republic. 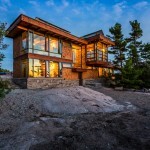 The design of the cottage, which is used as a family vacation home, was inspired by traditional fisherman’s cabins. 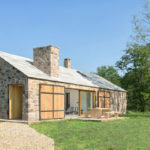 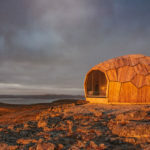 The cottage consists of four small masses, three of which are connected, with the fourth one separated, which serves as a storage space with a covered porch suitable for drying fisherman’s nets or just silent contemplation surrounded by natural beauty. 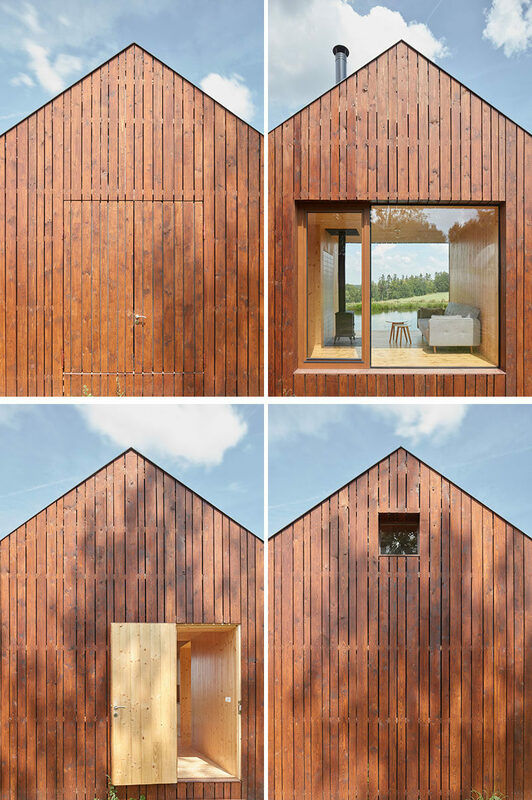 Inside, the interiors are covered with wood and the furnishings have been kept minimal. 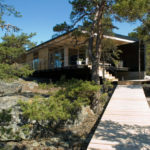 There’s a kitchen and dining area, a living room with fireplace, a bathroom and a lofted sleeping area for the children. 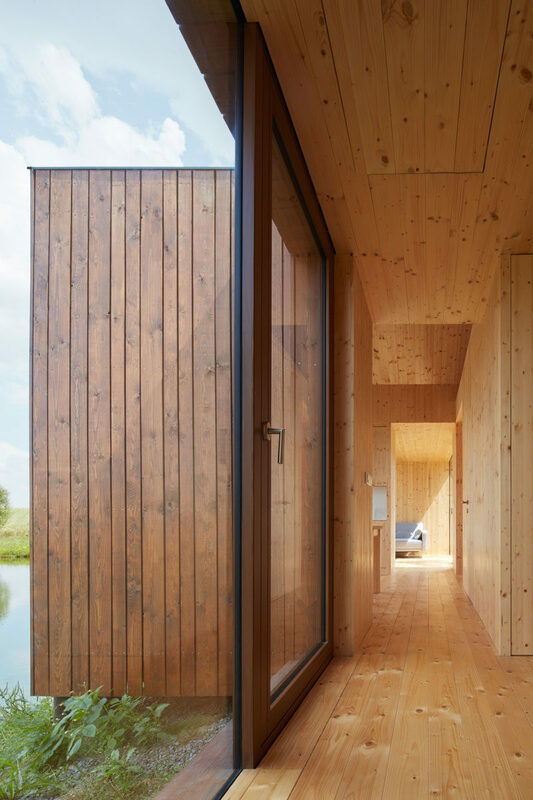 Large windows and glass doors open the interior of the cabin to the outdoors and provide an abundance of natural light. 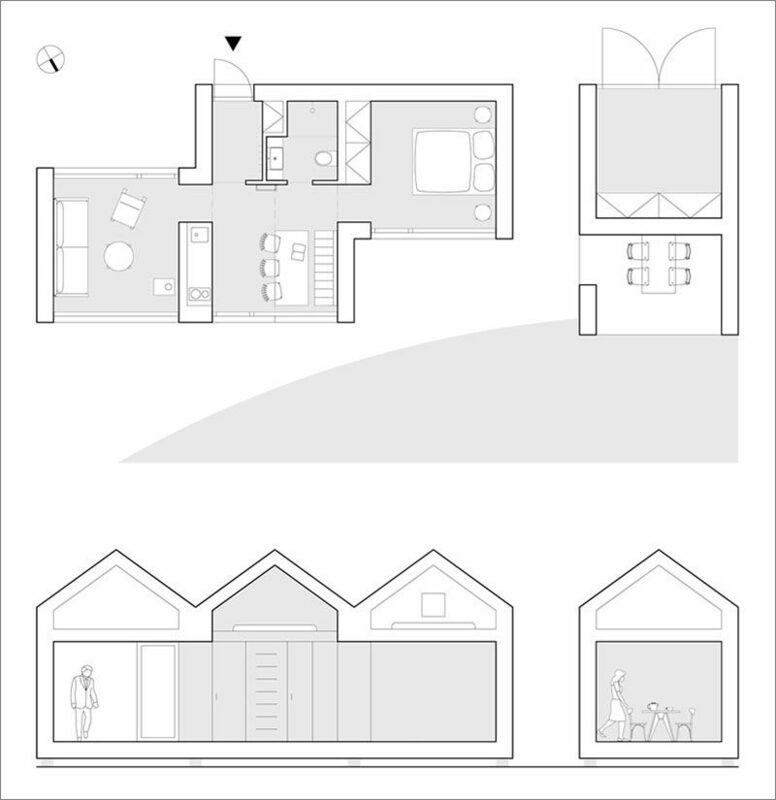 Here’s a look at the floor plan that shows how the cottage has been laid out.